As one of the leading lady showjumpers in the UK Laura Renwick is used to travelling the world and competing in some glamorous locations. During the Springtime Laura takes her young horses as well as her seasoned campaigners over to Portugal to compete in the Vilamoura Atlantic Tour. This provides a great warm up for her top horses ahead of the outdoor competitions in the UK and gives the future stars of her stable some valuable experience of international travel. Laura is also a regular on the Longines Global Champions Tour that sees the world's best showjumpers compete against the stunning backdrop of cities such as Paris, Monaco and Miami. 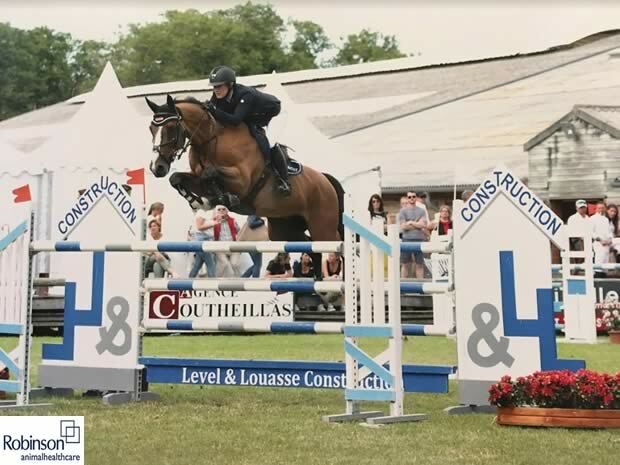 Here we catch up with Laura who is sponsored by Robinson Animal Healthcare to find out what it is like to compete on the international circuit. Why do you like competing abroad? I love competing on the international circuit because most of the show venues are of the highest standard as is the ground, course design and facilities for riders and owners. There is also more money to be won internationally. What are the logistics of competing internationally? All horses have to have an FEI passport then the vet has to issue health papers for travelling to foreign shows. Then you have to arrange stabling on route if it's a long journey as well as ferry bookings!! Shelley Ashman International is the company we use to arrange all these things. How do the horses cope with the travelling? Most horses are used to travelling long distances and cope well but the younger ones can find it hard and get very tired. We make sure we travel with hay and also make regular stops to give water. How long are you usually away for at any one time? It depends - in the spring and autumn there are tours which are four to six weeks of shows in one place, other than that it is usually week by week. What is the best and worst thing about competing abroad? The best thing is getting to compete at some wonderful venues; the worst thing is the travelling and being away from home a lot. Do you have a favourite international show or venue? Dinard in France is one of my favourite venues, as is Madrid. I love to compete on grass - but Miami Beach is something else! Tell us about the team that travel with you. We usually just travel with one groom who looks after up to four horses, that's the maximum you would take to a show really and he is there to care for the horses every need. How do you think competing abroad benefits the horses? Any experience benefits horses careers but it's all about getting them out and seeing different things and places. Do you get any time to enjoy the countries that you visit? Sometimes we are lucky enough to get time to see the fabulous venues we get to go to but often it is all work! What advice would you give to others wanting to compete internationally for the first time? Make sure you take advice from people who have been abroad already so that you know everything you need to before you set off. Whenever Laura and her team are travelling they make sure they have a fully stocked first aid kit. The Horse & Rider First Aid Kit from Robinson Animal Healthcare is ideal for keeping in the lorry for any unexpected injuries. The kit contains all the necessary products to deal with minor cuts and grazes, including market leading products Animalintex®, the ONLY medicinally licensed veterinary multi-layered poultice and dressing in the UK and Veterinary Gamgee®. 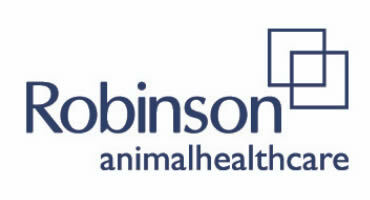 Robinson Animal Healthcare has a wide range of products for all your first aid requirements.